BlackRock liking US markets, China, emerging markets … Goldilocks conditions! 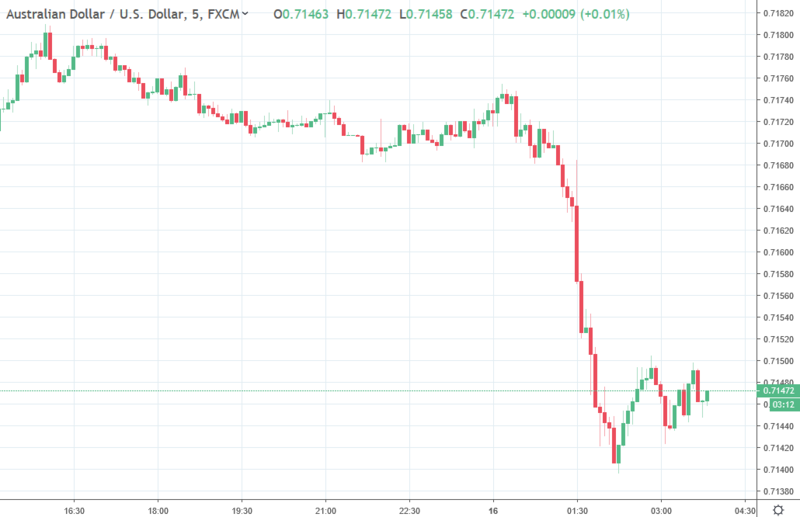 The Australian dollar was the big mover during the session, dropping a third of cent upon the dovish RBA minutes. The central bank says it cannot see a scenario that the likelihood of a rate hike was low, that it is watching inflation and unemployment as triggers for a rate cut, and that despite rates being low a further reduction would be of assistance for the economy. More detail in the bullets above but those are the salient points. Since its fall the AUD has barely bounced, its under 0.7150 as I update. EUR and GBP fell alongside as did the kiwi. CAD lost further ground after its drop during the US session. RBNZ Governor Orr gave an interview to Reuters, in which he described the NZ dollar as being around a 'happy place'. I guess that means he is comfortable with its current level. Again, see bullets above for further. In addition to the RBA and RBNZ we also got comments from Fed Boston head Rosengren and also BOJ Governor Kuroda. Despite Kuroda talking on and on USD/JPY has barely moved on the session. Gold is off a little. NZD traders heads up - dairy auction Tuesday London time. What to expect.